The San Francisco Opera presented Verdi’s Simon Boccanegra on Friday September 12th. The last time I heard Verdi’s flawed masterpiece was also in San Francisco. Paolo Gavanelli sang the title role in the company’s 2001 production. The performance I heard was a disaster. Gavanelli’s voice was somewhere else yet he attempted to sing. A whisper was the best he could manage. The council chamber scene was a travesty; the absence of the protagonist’s voice ruined one of Verdi’s most inspired moments. I felt that the SF Opera had taken my money fraudulently. Gavanelli was replaced for the opera’s second act, but the damage was irreparable. Fortunately this time around Dimitri Hvorostovsky was Boccanegra and he was in fine form. 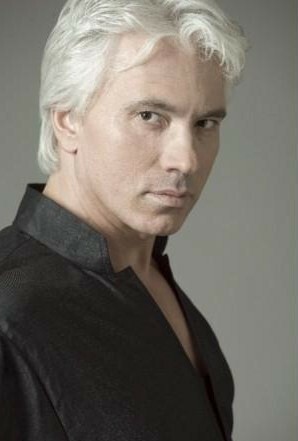 Hvorostovsky’s voice has everything needed for the great Verdi baritone roles except size. His tone is dark and beautiful. His high notes are focused and brilliant. He is a handsome and and is an excellent actor. But he just doesn’t have the vocal heft of Leonard Warren or Cornell MacNeil. This lack of volume likely explains his reluctance to sing the big Verdi roles in the big houses. It’s a pity that the gain couldn’t be turned up a bit because he has everything else one would want in a Verdi baritone. Interestingly, the diminutive Patrick Carfizzi who sang Paolo has a bigger voice than Hvorostovsky though it is not as burnished and roundly produced as the Russian’s. Marcus Haddock sang Gabriele Adorno with power and precision. He has the opposite problem from that of Hvorostovsky. His voice is large but not very pleasant. Barabara Fritoli who was was making her local debut in this run of Boccanegra is an uneven artist. From one moment to the next her tone goes from sure to unsteady. At times she showed the power needed for the large Verdi sopranos, but she never displayed the long molten line equally necessary for these roles. She got nothing from her first act aria (“Come in quest’ora bruna”) including applause. I’ve never heard the aria received with total silence before. The remaining principal voice was that of bass Vitalij Kowaljow. The Ukrainian bass looked like a tenor – short and pudgy. His bass was not very large or powered in its low register. He was satisfactory. Boccanegra has a libretto that makes Il Trovatore look like the model for the well made play. Almost nothing in it makes sense. How come Fiesco who has been living with Amelia for 25 years has never noticed that she wears a picture of his dead daughter around her neck? And that she has a story which fits that of his long lost granddaughter. Boccanegra figures out who she is after three minutes. When Adorno thinks Amelia is Boccanegra’s mistress why doesn’t she tell him that the Doge is her father? And there’s Amelia’s age. She’s 30 years old. Ancient by the standards of mid 14th century Italy. No one, not even the second baritone, would think her nubile, certainly not the tenor. The first version of the opera had no dramatic core. This is why Boito and Verdi added the council chamber scene. It’s one of the composer’s finest scenes. It sounds like something right out of Otello. It’s a marvel of operatic construction. The tumult of the patricians and plebians, Boccanegra’s impassioned plea for peace, the great quartet with chorus (“Il suo commoso”), capped by the coup de theatre of the villain forced to curse himself make the scene worth a trip to the opera house all by itself. All of Verdi’s operas need great conductors, but this is especially true for Simon Boccanegra. Maestro Donald Runnicles was up to all of the opera’s challenges. He brought out all of the operas lyrical moments and brought whip lash intensity to the great scene that closes the first act. Perhaps being left handed conveys an advantage to a Verdi conductor. The sets were generic. They were open and could have been used for any number of operas. The only time they enclosed the action was during the council chamber scene where the confined space was oppressive. Everybody got on and off the stage without getting in each others way. In summary, a fine performance by Hvorostovsky and a great one by Runnicles made the evening a success.